I alluded to this project in an earlier post but the job wasn’t done at that point. 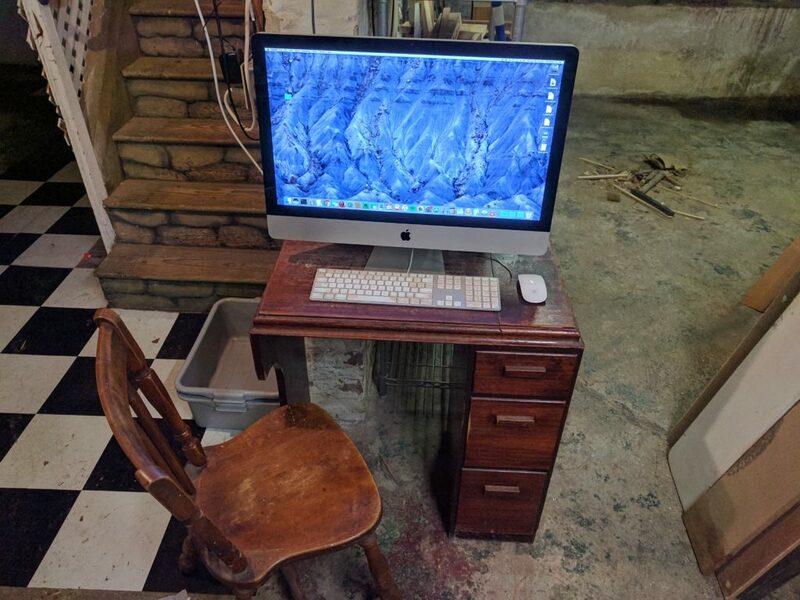 The old desktop was a tiny sewing table that I found on the side of the road. It worked but it was too small and wicked tall! The iMac was feeling sluggish and when I reviewed my records, I was surprised to find that it was already 5 years old. 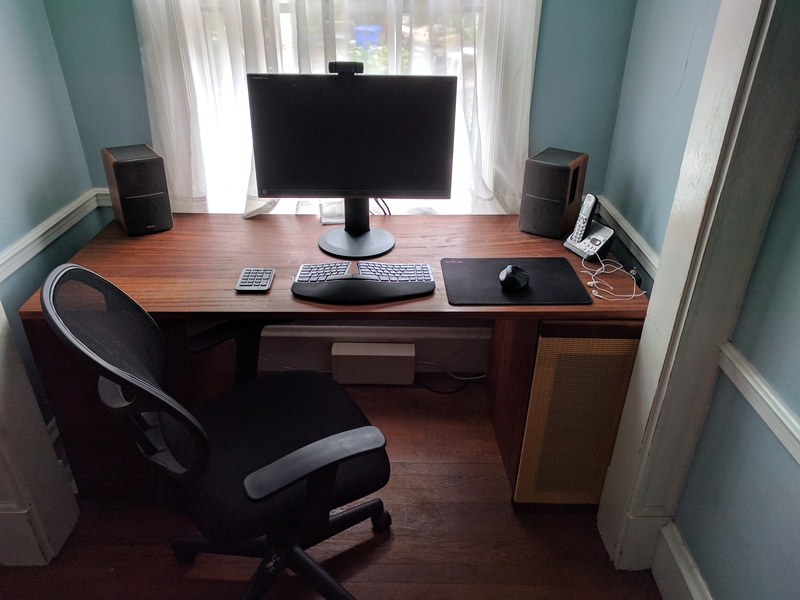 The new desktop was made of resawn (a woodworking term) sapele (a species of wood known colloquially as “African Mahogany”), an old mahogany file cabinet and a new cabinet to hold the cpu with vintage “amplifier grill cloth” on the front for breathability and style. I purchased the AmazonBasics Mid-Back Mesh Chair and it’s a good value. One additional detail: I did a little custom electronic work to wire a switch that would toggle the audio output between the headphones and the speakers. This is immensely useful and quite satisfying in comparison to making those adjustments in software. Overall, I’m really happy with the setup. It’s fast and should be happy to last for around 5 years.